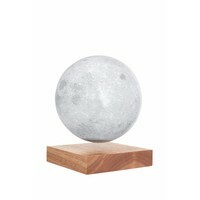 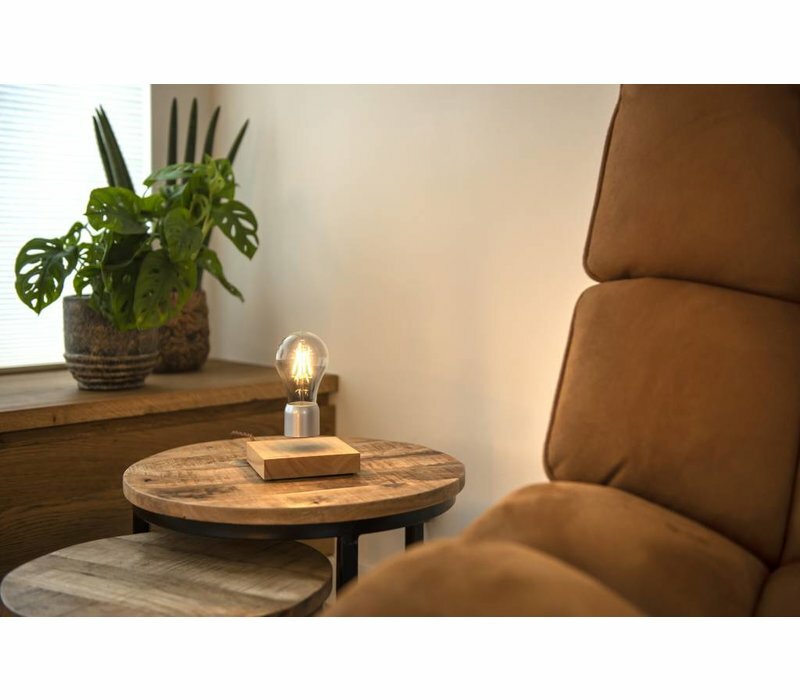 Our Lumbr Air design table lamps are true eyecatchers for your living room or office environment. 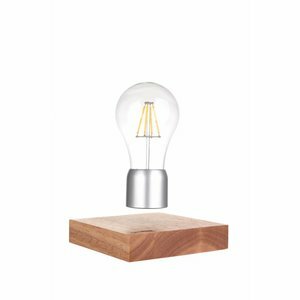 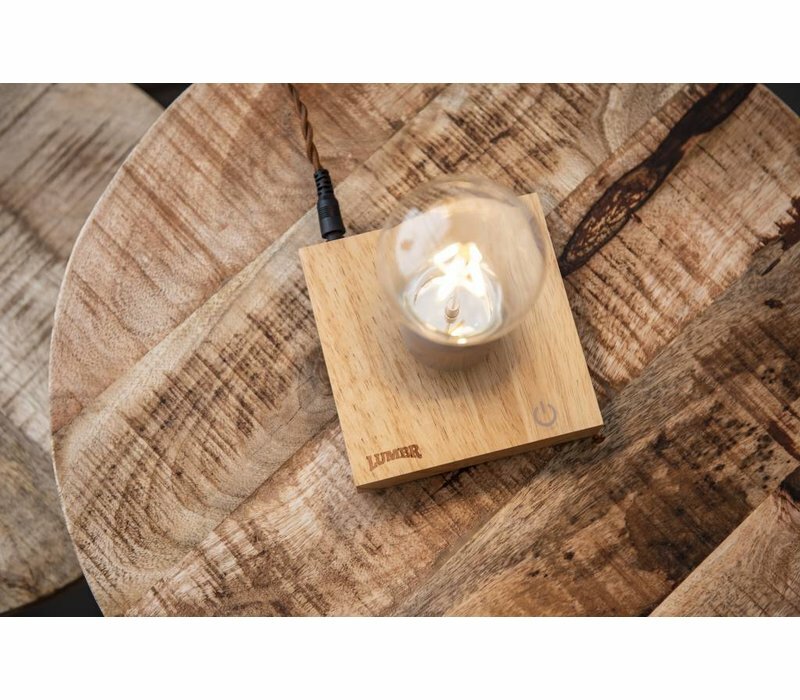 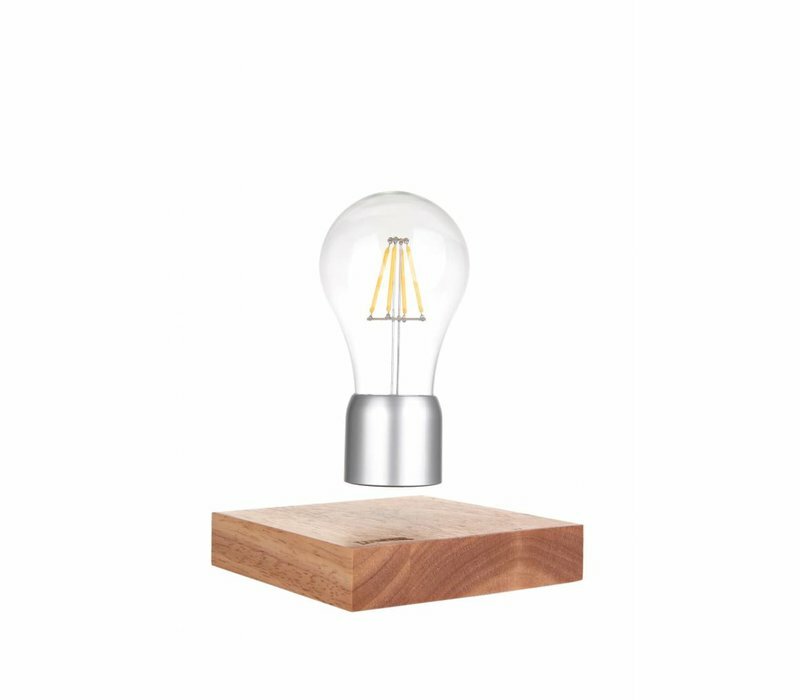 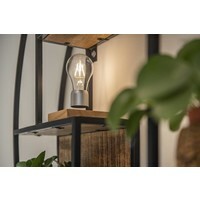 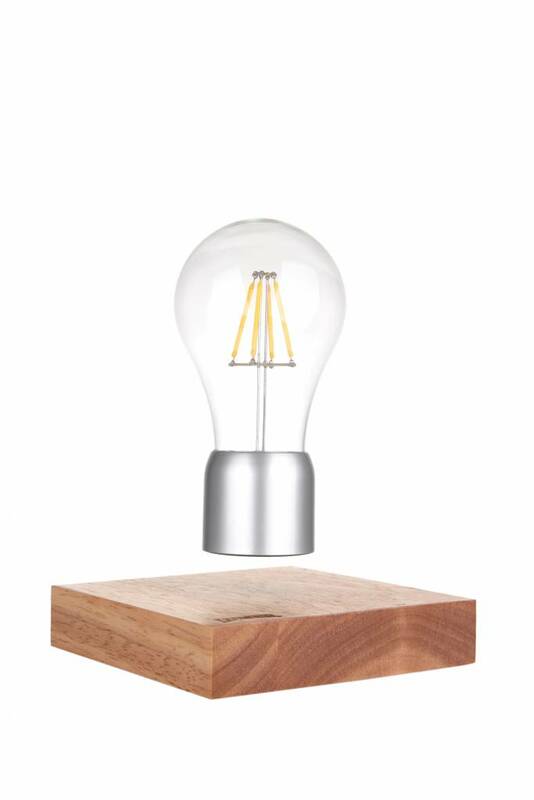 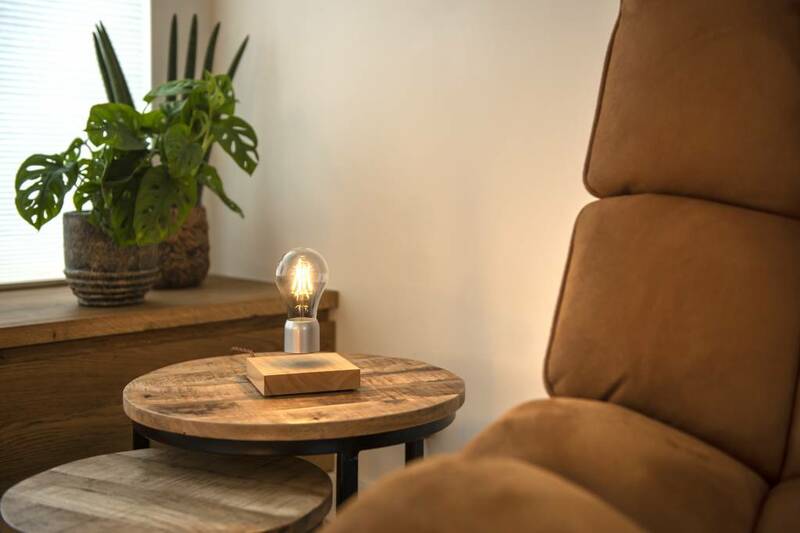 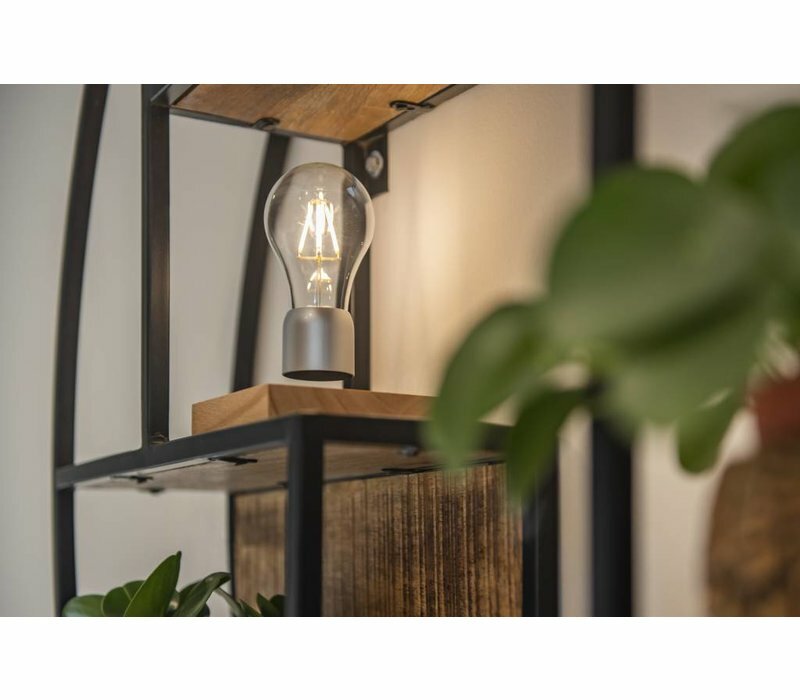 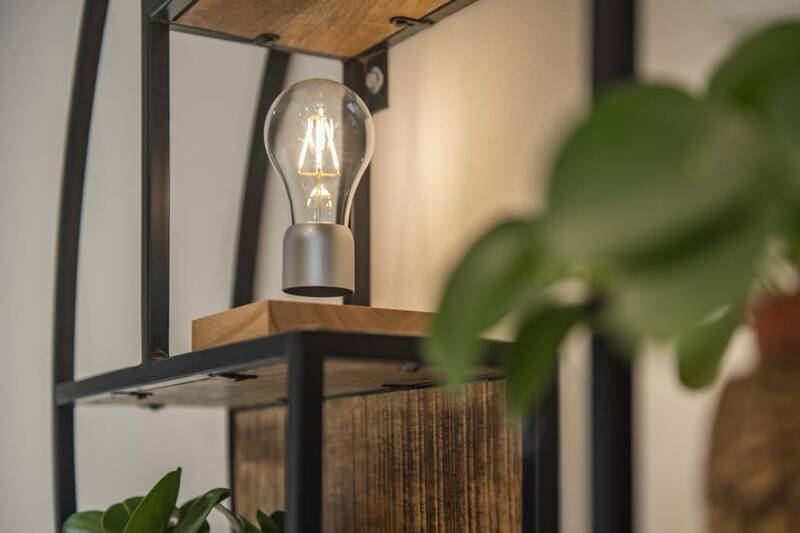 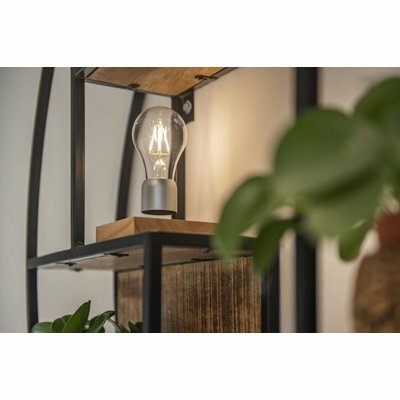 Due to our unique magnetic mechanism the Edison LED-lamp magically floats 20mm above the massive oak wooden base. The crystalclear LED-light is energy-concious and gives a warm light effect. 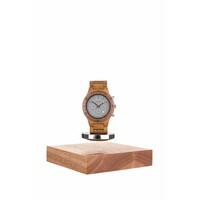 The lifespan is around 50.000 hours. 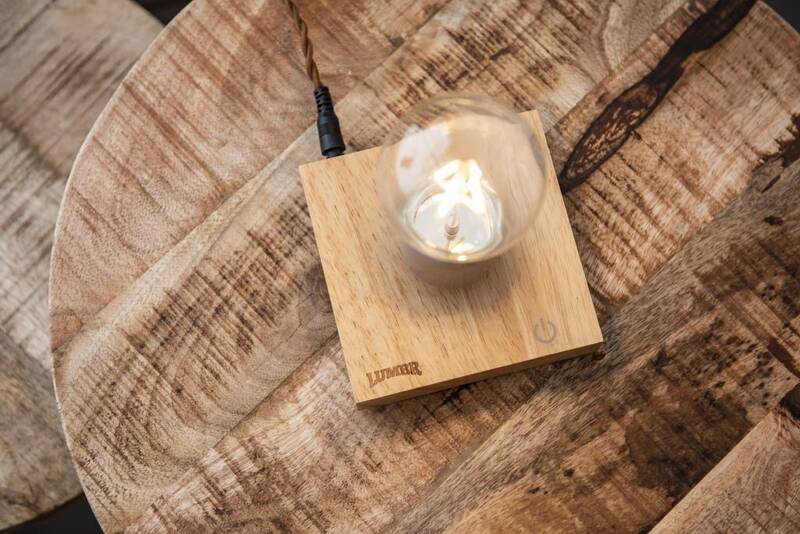 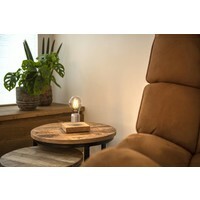 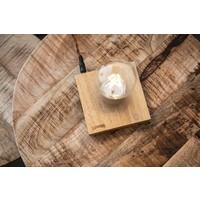 With the "hidden" touch control button in the wooden base the light can be switched on and off. 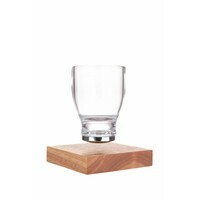 The Lumbr Air base can be extended with our Moonlight, Floating Glass or DIY-Magnet.